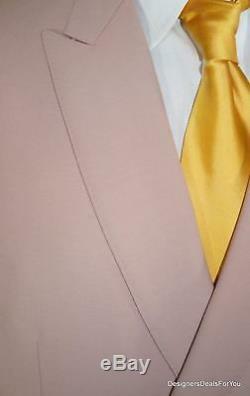 ALBA Bespoke Suit Mens 48 XL Pink Rose Magic Johnson Hand Tailored 42W 3/23/16. This suit was custom tailored by Alba Bespoke Clothing in Los Angeles. 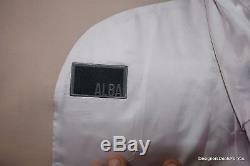 Alba manufactures top quality suits and blazers for many top basketball players and athletes. It was made for Earvin Magic Johnson. Size: 48 XL, by measurements. 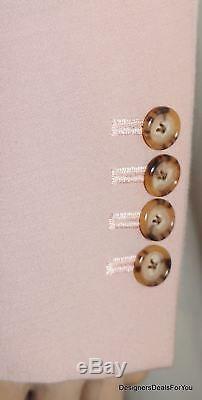 4X2 Double Breasted Button Front. Pants have a flat front. Details: This stylish suit makes quite a statement!!! 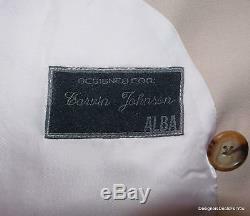 It is a 4 button front jacket and pant. The jacket is fully lined and the pants are partially lined. As with most clothing (pre-owned or new), some minor alterations may be necessary to get a fit just right for you. 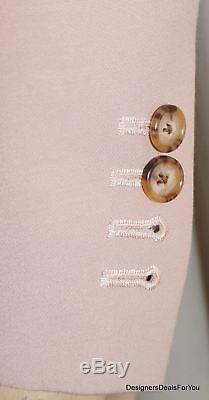 Perfectly matched buttons for the Suit color. 3 exterior pockets with flaps. It has 3 interior pockets. 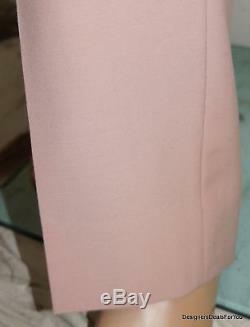 22 inches across the shoulders (sleeve seam to sleeve seam). 50 inches across the chest (armpit to armpit, then doubled). 48 inches across the waist (above the pockets, then doubled). Total length is 34 inches from bottom of collar to jacket bottom. Sleeves are 28.5 inches with 1 inch to let (from shoulder seam to cuff). Has 2 10 inch side vents. 2 front pockets and 2 rear pockets with buttons. Has sewn in elastic waistband. 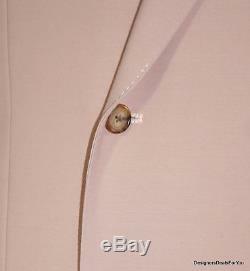 Has hidden front zipper with hook and eye. 42 inch wais­t with 2.5 inches to let. Inseam is 37 inches with 2 inches to let. 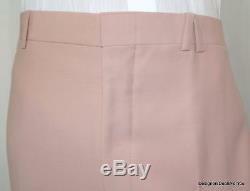 49 inches total length from waist to bottom of slacks. Check my store for other great items from Magic and other celebrities!! 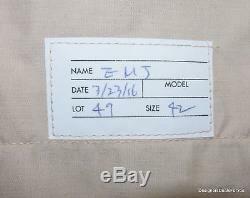 The item "ALBA Bespoke Suit Mens 48 XL Pink Rose Magic Johnson Hand Tailored 42W 3/23/16" is in sale since Saturday, November 11, 2017. 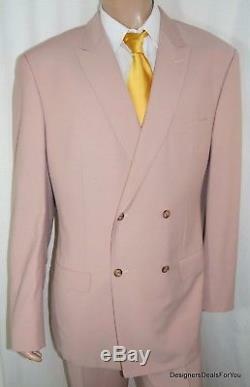 This item is in the category "Clothing, Shoes & Accessories\Men's Clothing\Suits & Suit Separates".